A new portal today was released that lets picky and wise home shoppers today surf and search for different floor decors that fits to their budget and desired design. This portal is called TheCarpetsRugs.com (as of today, the site was not renewed). It contains a list of different kinds of area rugs with their respective affordable prices and sizes. It let users to utilize it as like a search engine for carpets and rugs. They can easily look for any kinds of floor covers they want from sisal rugs to custom rugs. The said site features major products (area rugs) manufactured and sold by the three leading online retailer in the US today specifically the NaturalHomeRugs.com, ImportFlooring.com and the NaturalAreaRugs.com. All of these websites are known to produce high quality eco-friendly area rugs and vinyl tiles for household worldwide. 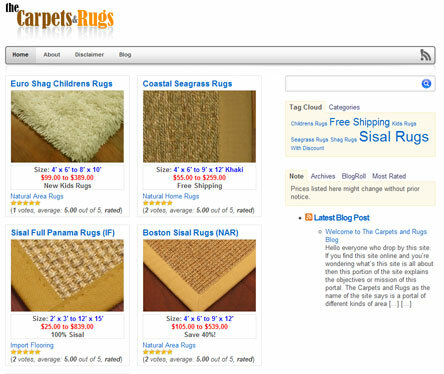 For the technical aspect of TheCarpetsRugs.com portal, it is made of the common CMS (content management system), WordPress 2.8.4 with a customized theme so that it cached the thumbnail of the images to display on the front page of the site. It also contain a blog that contains some practical household and home improvement tips for its surfers and users. 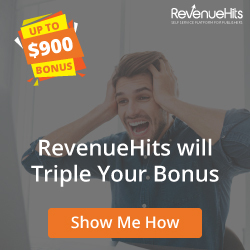 By the way, I am planning to give away the WordPress theme that is used for this website. Anyone that is interested to use it, just simply leave a comment on this post and let you know how you could acquire the said theme for free. Visit the site at http://www.thecarpetsrugs.com/ today.